Refugee Owned Falafel House Giving Free Meals to Federal Employees During Trump's Shutdown - Hacking Law Practice, LLC. Looking for a good falafel joint? 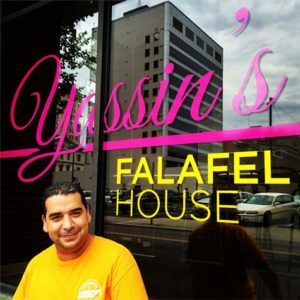 Well, look no further than Yassin’s Falafel House in Knoxville, Tennessee. Yassin’s Falafel House, which was voted the “Nicest Place in America” is providing free meals to the federal employees and their families that have been impacted by the government shutdown. As Trump continues to stand his ground, calling for $5.7 billion for a border wall, many government employees are forced to work without pay. Some government employees have discussed how they are late on their mortgage payments, car payments, and other bills. The situation is becoming more dire as there is no sign of ending the partial government shutdown anytime soon. Yassin Terou, the owner of Yassin’s Falafel House, wanted to do something to help. Thus, he announced on the Yassin’s Falafel House Facebook page that both of his restaurants would provide free meals to federal employees and their families. The Hacking Law Practice couldn’t agree more.